During the nineteenth century, enthusiasts and explorers helped transform skiing from a practical activity into a sophisticated sport. Along with its growing popularity came progress in equipment and clothing to protect the body from mountain extremes. Experienced skiers realized the importance of layering, which enabled them to take off or put on clothing as required, tailoring what they were wearing to the activity level. The layers comprised lightweight long underwear and stockings, sweater, socks, gloves, and a weatherproof coat and breeches. Long skirts were inappropriate for the rigors of skiing, so by 1910, the only difference between male and female skiwear was a knee-length skirt worn over knickerbockers. Burberry gabardine was recognized as the most suitable fabric for jackets and breeches as its proofed cotton threads, dense weave, and smooth surface provided a barrier to the wind and snow. Unlike earlier rubberized and waxed jackets it was also breathable. Uniforms worn during World War I had an impact on skiwear. By 1920 outfits based on tunics and breeches worn by the British Land Girls (a volunteer corps of agricultural workers known as the "Women's Land Army" that substituted for men who had enlisted during the war) began to appear. More relaxed attitudes toward fashion made it easier for women to wear this type of clothing without fear of criticism. Sportswear manufacturing companies also incorporated practical elements from male military uniform into their designs, such as buttoned top pockets. During the 1920s trousers rapidly became an accepted form of clothing, and the women's skiing outfit signalled a dress equality less evident back home, where trousers were still taboo for most activities. 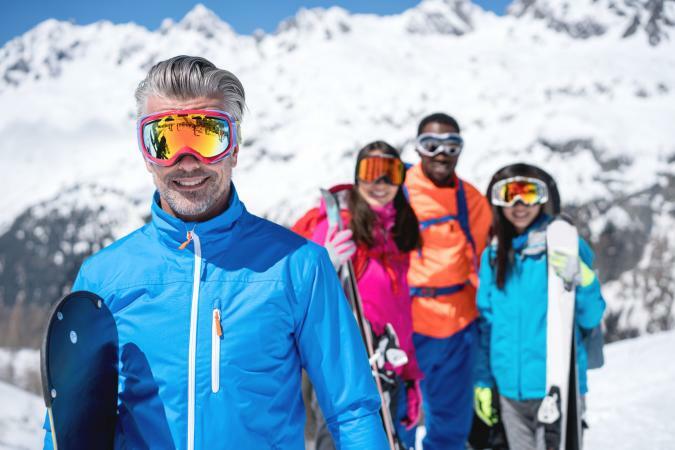 The growth of ski tourism and the first winter Olympics in 1924 encouraged manufacturers to specialize in skiwear and create weatherproof yet fashionable outfits. Companies such as Drecoll, Burberry, Lillywhites, and Aquascutum and fashion designers including Patou, Lanvin, and Regny produced trouser suits in a wide range of colors, combining practicality with elegance. The main technical advances were in design features such as zip fastenings, which were more effective at sealing openings on trousers, jackets and pockets than buttons or laces. By the early 1930s, short jackets inspired by pilots' uniforms, and full "Norwegian" trousers were fashionable for men and women. These loose-fitting garments allowed greater freedom of movement and a more casual style to prevail. During the 1930s the mechanization of the ski industry in the form of rope tows and ski lifts started to impact the design of ski outfits. The shift from mountain touring to downhill skiing demanded a different design of clothing. Fashion gradually shifted away from baggy styles to shaped trousers that followed the streamlined look of ski racers and were better suited to the new skiing techniques. Equipping the forces during World War II led to the manufacture of high quality outdoor clothing, including skiwear. Developments in synthetic fibers and polymers for the mountaineering troops brought about improvements in materials for ski clothing. Nylon was used in the outer shell of stylish parkas and synthetic quilted linings were added for extra warmth. Stretch nylon pants suited the streamlined look of 1950s' skiwear perfectly, emphasizing the fashionable curve of the hips and a narrow waist. They could be teamed up with colorful mohair sweaters for after skiing or worn as slacks at home. Specialist manufacturers and a new generation of fashion designers such as Balmain and Pucci capitalized on these styles, creating fashionable yet functional clothing. "The ski outfit that one puts on in the morning is the same as that which one wears until dinner. One of the most surprising aspects of St. Moritz is this contrast between the … luxury of hotels and the casual appearance which the winter sports costume gives to the guests." Vogue, 1 December 1926 (Paris: Editions Condé Nast): 9. In 1959 the arrival of spandex heralded another revolution in ski clothing. This elastomeric fiber was combined with other synthetic fibers or wool to allow greater stretch than nylon plus instant recovery. 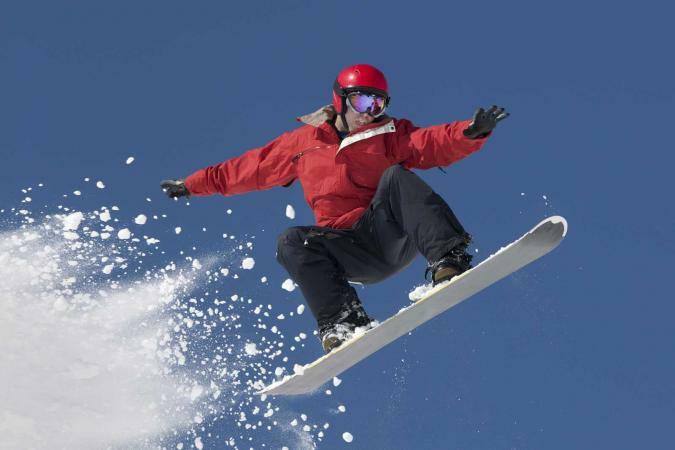 Skiwear could now stretch with the wearer and retain its shape. Span-dex was ideal for ski racing outfits, allowing greater freedom of movement and aerodynamic qualities. Inspired by events such as the Olympic games, Pucci, Hermès, and Dior featured tight stretch ski pants and curvaceous all-in-one suits in their 1960s' collections. Experts, however, advised looser versions for recreational skiing that, when combined with turtlenecks, functioned for social occasions and other outdoor activities. In the 1970s growing numbers of companies such as Killy, Lange, and Berghaus started to provide specialist clothing, and a kaleidoscope of designs evolved to suit all tastes and levels of skier. Wider-legged, over-the-boot pants created a more relaxed look in tune with mainstream fashion and quilted down-filled jackets were versatile additions to the skiing wardrobe. V. de V. and de Castelbajac created flamboyant designs in authentic ski clothing while warm-up suits worn by ski racers were translated into fashionable styles. Novelty fabrics such as fake fur, vinyls, and metallics were used for parkas, and ski outfits in psychedelic color combinations had a safety as well as aesthetic appeal. Ponchos and capes were popular for après-ski and "space-age" moon boots walked their way into the fashion scene. There were also significant developments in technology. In 1969, plastic molded boots replaced the traditional leather footwear, giving the skier greater control over the skis. Plastic coatings were introduced onto ski garments to keep out moisture, but although waterproof, they led to a buildup of condensation inside. Introduced in 1976, Gore-Tex fabric revolutionized outdoor wear by allowing perspiration to escape while keeping water out. It was developed for ski clothing in collaboration with Berghaus, and soon other companies were promoting their own versions. The development of circular knit brushed fleece in the late 1970s also transformed skiwear. Made of lightweight, warm, and quick-drying polyester filaments, it made layering garments as a means to keep warm easy and became a staple in casual outerwear. As the latest technologies were incorporated into skiwear, leading brands faced fierce competition to market a new wonder fiber or design feature. During the 1980s branding with logos became increasingly common, and the choice of clothing was almost bewildering. Fashion was also of prime importance and manufacturers such as Killy, Luhta, Head, Elho, and Ocean Pacific styled their outfits to complement the latest trends. Fluorescent colors, soft pastel shades, and striking abstract and animal designs were all featured. A casual "winter surf" look emerged among young winter sports enthusiasts. One-piece suits were often zipped at the waist for more versatility, and bib pants (known as salopettes in the United Kingdom) became an increasingly important component of the jacket-and-pants combination. The popularity of sportswear for leisurewear also meant that ski pants and quilted jackets made their way into the high street. In the new millennium, the booming snowboarding industry and rise of extreme winter sports have encouraged skiwear manufacturers to emphasize innovation. Fabrics with ever increasing property and performance tolerances such as "soft shell" constructions with welded waterproof zips, jackets with inflatable insulating air pockets, and seam-free underwear promise to transform the skiing experience. The increasing use of helmets and the incorporation of body armor into skiwear, including back protectors and built-in lumbar supports, have improved safety on the slopes. Competition has also encouraged manufacturers to diversify, focusing on specific "looks" for different styles of skiing and ensuring that more components of the outfit than ever before can be worn on or off the slopes. A-Z Ski Fashion and Equipment Guide. London: Hill, 1988. Loring, Maggie. Skiing. Camden, Me., and London: Ragged Mountain Press/McGraw-Hill, 2000. Lunn, Sir Arnold. A History of Skiing. London: Humphrey Mil-ford, 1927. Scharff, Robert. SKI Magazine's Encyclopedia of Skiing. New York and London: Harper and Row, 1976. Skiing International Yearbook. New York: Periodical Publications, 1965.